It is commonly assumed that the Bulgarians did not carry out a revolution against the Soviet regime and the communist authorities. The truth however, is different. The Bulgarians did put up their own armed resistance to the communist regime within the same chronological framework and on the same scale as the resistance movements of Poles, Germans, Romanians and Baltic peoples. Unfortunately this resistance remains widely unknown, despite plenty of evidence and documents found in the archives of Darzhavna Sigurnost (State Security, Bulgaria’s secret communist services). Bulgaria’s armed resistance named Goryan Movement, emerged as early as the autumn of 1944 as a spontaneous reaction to the Soviet occupation and to the ensuing communist terror which – for only a few months after the Soviet invasion – resulted in mass killings of close to 30,000 people from the national elite. Hundreds of people, sometimes entire families, fled to the mountains. 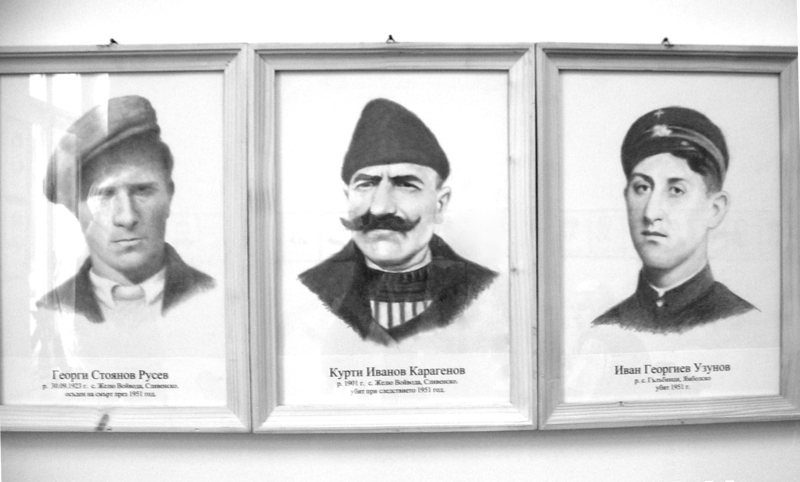 Originally the Goryan rebels were chiefly officers from the Bulgarian Army, IMRO activists, former policemen, university students, nationalists, anarchists or even former communists. In the aftermath of 1947 however, when the legitimate opposition was crushed and agrarian leader Nikola Petkov was hanged on an order from Joseph Stalin, while tens of thousands of the opposition’s supporters were sent to concentration camps, the Goryan detachments grew in strength as members of the oppositional Bulgarian Agrarian People’s Union joined them. The total number of the Goryan and their helpers came to 10,000, and the clandestine organizations disclosed by the communist militia were 600. The Goryan struggle with the communist regime went on from 1944 till 1956. Goryan detachments operated across the country – 28 larger units, a great many smaller ones and even lone Goryan who fought on their own. Another 52 detachments arrived from abroad. Communist propaganda labeled them diversionists, but they were in fact Bulgarian emigrants, who had returned to Bulgaria to fight against the communist regime with the hope that their resistance would encourage the West for a liberation war for Eastern Europe. This hope remained strong among East Europeans until 1956 when they despaired at the crush of the Hungarian Uprising, while the West watched the developments with inactivity. In 1950 USA severed diplomatic relations with Bulgaria. In early 1951 President Truman stated that the United States was ready to fight for Europe, and the Congress endorsed sending American troops to Europe. “We want war!” – in 1950 this cry of both despair and hope could be heard in Bulgarian villages where the communists were carrying out forceful collectivization of farming lands. Peasants fled to the woods to stay away from the communist farming cooperatives. Entire village communities in Western Bulgaria crossed the border with Yugoslavia together with their livestock. People were leaving communist cooperatives and were trying to reclaim their livestock and inventory. This gave rise to clashes with the militia, and to peasant riots. 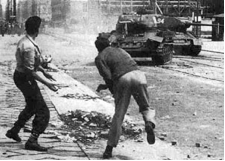 Clashes also occurred during state deliveries’ payoffs. The excessive toll in agricultural production that private farmers had to hand over to the state stirred up women’s riots. “Why do you take our bread away to give it to the Russians?”, rioting women shouted. “Down with the collective farms!”, “Down with the communists”, “We don’t want to thresh a common stack-yard!”, women’s protests chanted. Prior to the war Bulgarian peasants had mocked news coming from the Soviet Union, but now Sovietization was invading their lives with militia violence, with the expropriation of private property, with giving power to the most indolent and criminal fellow-villagers, with the thefts of cooperative property and with the dispiriting view of starving cows in the communist collective farms. In this situation the preparation of a nationwide uprising against the communist regime was underway. Radio Goryanin took up the role of coordinating the scattered resistance put up by Goryan detachments. At the end of May 1951 it reported that an insurgent army was being set up in the Sliven section of the Balkan Range and recruits from allover Bulgaria were already heading to it to join in. The communist authorities had a major scare in this situation. A 13,000-thousand-strong army including militiamen and soldiers, encircled the Sliven Balkan Range in a bid to prevent the insurgents from merging with the detachment lead by Georgi Tarpanov2. Hundreds of rebels were arrested, and some even killed without trial. On 1 and 2 June 1951, 106 Goryan from Georgi Tarpanov’s detachment fought a battle against a 6000-strong army of militiamen and soldiers in the Sliven Balkan Range. Following 48-hour skirmishes the insurgents withdrew. Their commander had suffered 12 firearm wounds but successfully lead his people out to a safer place. Forty Goryan died and the rebels took with them all their injured comrades. A few weeks later the Tarpanov detachment was restructured and ready for combat. Bulgaria’s Prime Minister Valko Chervenkov3 and Interior Minister Georgi Tzankov in person were in charge of the operation against the Goryan. They arrived to Sliven and witnessed the most disgraceful defeat of the militia-controlled state. The battle with the Sliven Goryan made it painfully clear to the Bulgarian communists that in spite of cruel repressions and mass murders they could not possibly stay in power without the Soviet Army. This was hardly surprising – the communists did not enjoy public support. On 9 September 1944 they were only 25,000 (in the aftermath of 9 September their number grew to 250,000), while the Agrarian Party adherents were 750,000 who even after the party was banned, their leader Nikola Petkov – executed and many party members sent to concentration camps, continued to pose a major political threat to the communist regime. Scared by hostility to the communist party, Valko Chervenkov conveyed an unambiguous message – he built in downtown Sofia an awesomely sinister monument of the Red Army. At first the monument was commissioned as a small site commemorating the victims of World War II but soon the original design was replaced with today’s monstrous facility as a communist threat and warning to Bulgarians that their struggle would be meaningless because the Bulgarian Communist Party could always summon the Red Army for help. Even today this monument is saber-rattling in Sofia’s center, so that present-day communists have a place to pay homage to the Occupier Army whose decisive help brought them to power in 1944 and allowed them to keep it for half a century. In the early 1950s the communist party leadership created a special Department 12 at State Security for combating the Goryan Movement with affiliates at the Ministry of Interior regional departments, thus relying on a network of agents. The majority of Goryan were intercepted and killed without trial due to the efforts of State Security agents. Traitors and informers proved of crucial importance for the “people’s” rule in its struggle against the people of Bulgaria. Why has this resistance remained largely unknown? 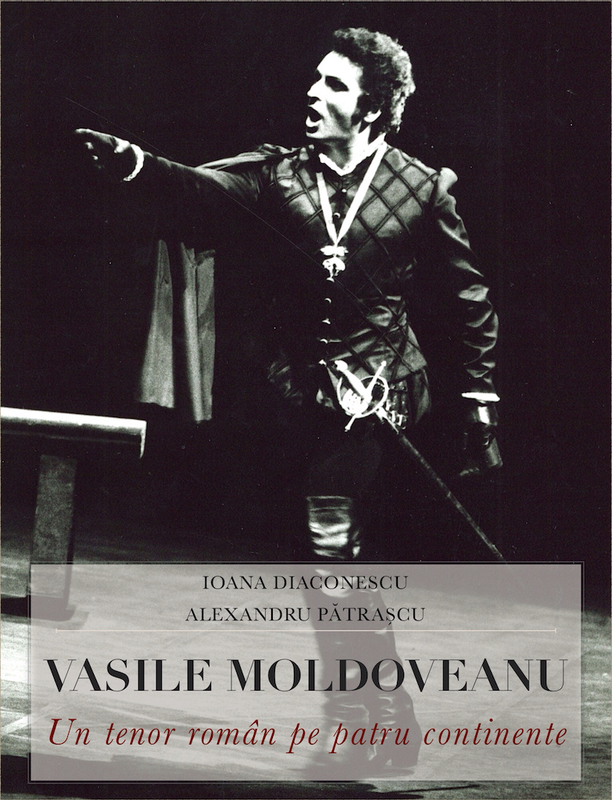 Bulgaria had its Goryan, just like Poland had its “Cursed Soldiers’, Romania – its “Haiducs” and the Baltic states – their “Forest Brothers”. Besides, Bulgaria had a strong legal opposition – until it was banned in 1947 the most influential party was the oppositional Bulgarian Agrarian People’s Union with 750,000 members, while the communist party installed and supported by the Soviet Army had 25,000 members. What makes the Bulgarian case unique, are the Bulgarian communists. While in Hungary, the Czech Republic and Poland the communists backed popular discontent and it grew into revolutions against Soviet occupation, the Bulgarian communist rulers remained loyal to Moscow and carried out obediently Bulgaria’s Sovietization. After they did their utmost to wipe out the memory of the Goryan, they had to make everybody believe that Bulgarians had put up no resistance at all. Otherwise they would have to admit that they had crushed the resistance of the Bulgarian people as ready tools in the hands of the Soviet Union. Only few of the Goryan rebels survived – most of them died in combat or were captured, condemned to death or killed without trial. For decades their families were persecuted and oppressed. 1. The portraits drawn by Kostadin Subev have been made based on photographs. 2. 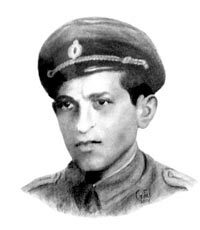 Georgi Marinov Stoyanov-Tarpana, commander of a detachment in the Sliven Balkan Range, was born on 6 May 1915. 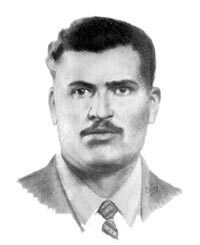 In the late 1951 he was captured, sentenced to death and executed on 2 December 1951. 3. Valko Chervenkov – Bulgarian prime minister from 1950 to 1956. See also this article „Goryani through the archives” by Anka Todorova Ignatova.